The sun is finally shining in Stratford and I can finally wear some brighter clothes! 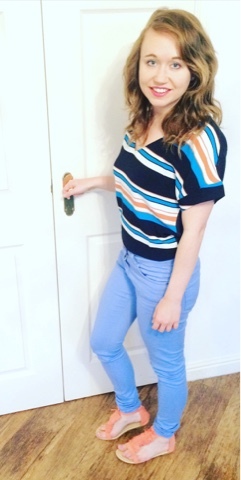 When I purchased this La Redoute striped tunic I didn't even realise I had the perfect outfit in the making with my ASOS blue jeans and coral sandals. 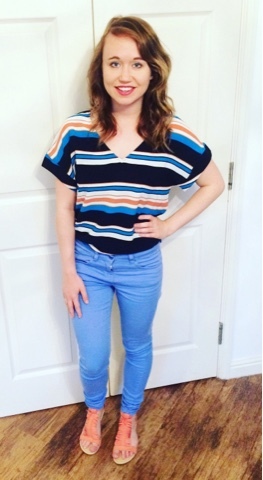 Yes I have to tell myself that I already own lots of striped tops but this one has such summery colours I couldn't resist and for £9 too with a cheeky discount. They have a great sale on at the moment too. 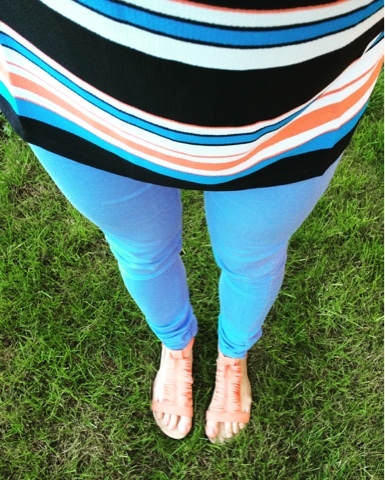 Will you be wearing brights or stripes or even both this summer?